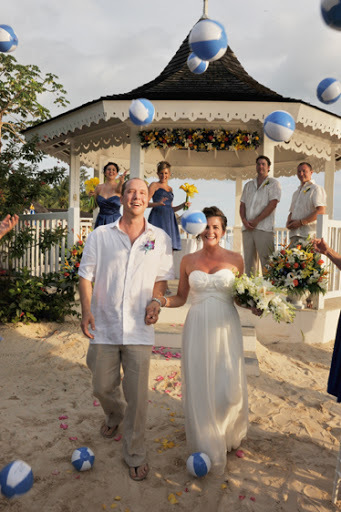 Jennifer & Russell were married this summer at Sandals Negril Resort and Spa in Jamaica. I love the beach balls – printed with the couples names and wedding date – how cute and unique! 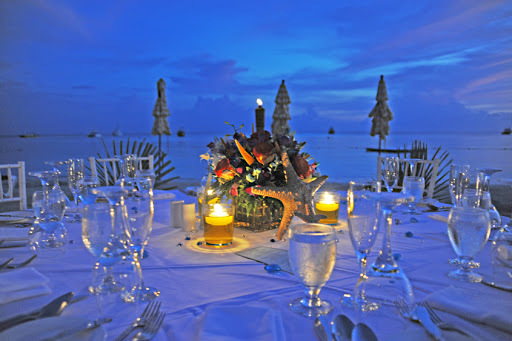 Isn’t it amazing how the bright blue of the sea and sky cast such a lovely glow on the tables? 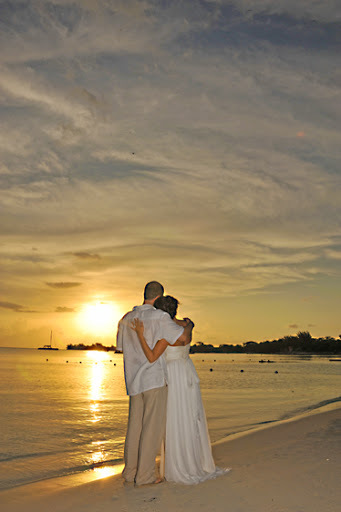 Jamaica is such an easy choice for Destination Weddings – everyone has a great time! Negril is a good choice because of those famous sunsets…. If you need a Destination Wedding Photographer for your event, check out Tony Gajate.